Curious Cbus: Seriously, What's The Deal With Pee Pee Township? 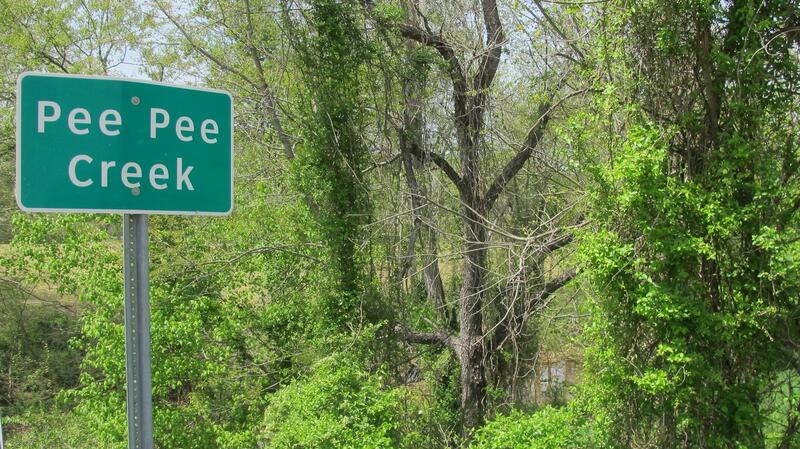 Pee Pee Township is in Pike County, and after 200 years, nobody has successfully pressed to change the name. This story is part of the Curious Cbus project. You ask the questions, you vote for one of the questions and we answer. 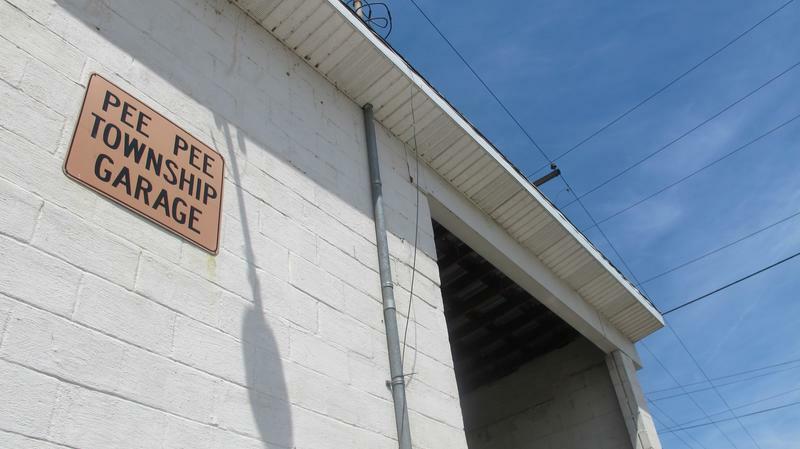 About an hour and a half outside Columbus lies a township within Pike County with a strange name: Pee Pee Township. Some locals think it's funny, while others would rather relieve themselves of the burden. I came across the name when I was looking into the origins of Refugee Road. When I returned to the area, though, a lot of residents weren’t eager to discuss the township’s name. But those who did want to talk about Pee Pee Township obviously had a lot they were holding in. Dunn has lived in the township for about 20 years. Pee Pee Creek, after which the township is named, runs behind her house. She's always found the name and her friends’ reactions to the name to be comical. How did Pee Pee Township get that name, though? Dunn says local legend has it starting with an early settler’s graffiti. "Pee Pee" in the town name comes from "P.P. ", the initials of explorer Peter Patrick. The legend has merit. Peter Patrick was a 19th century settler from Pennsylvania who eventually ended up in Piketon, according to Emmy Beach of the Ohio History Connection. Yes, Peter Patrick marked his territory with ‘P.P.’ The name Pee Pee Settlement also comes from Peter Patrick’s initials. Many who lived in Pee Pee Settlement were active in the Underground Railroad and assisted runaway slaves to freedom in Ohio. Despite violent attacks against the area, Beach says, Pee Pee Settlement was a vibrant community that existed until the early 1900s. The surrounding area became known as Pee Pee Township, and now about 4,000 people live here, not counting the village of Waverly right next door. 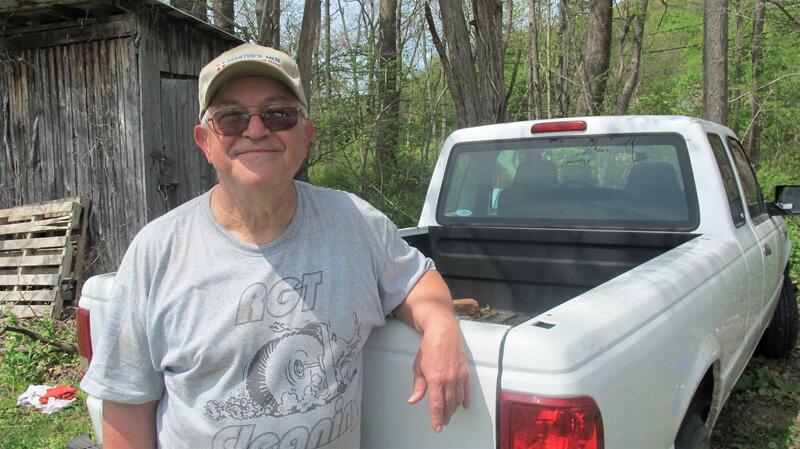 Robert Dixon, the town clerk of Pee Pee Township, says he often has to explain the name to outsiders. One resident is Robert Dixon, who's a jeweler, bus driver, and runs the local softball league. For the past 20 years, Dixon has also served as the township clerk. His main task is fixing township roads. “Consequently, it’s kind of funny as the clerk of the township, when we’re in touch with somebody that’s not familiar with us, sometimes they will write ‘Pee Wee,’ or they will say something else,” Dixon said. “They think, ‘This can’t be right, is it?’ So I usually try to quickly go to Peter Patrick, his initials. And rather than just put two initials, they wrote it out, 'p-e-e, p-e-e.'"
And yet, nobody in the last 200 years has tried to change the name. But some wouldn’t mind. Patrick O'Connell, another resident, wishes the township called itself something else. “I didn’t even know what township I moved into until I got down here and transferred the car plate, and it’s like – if they put water in the lake, we’re gonna be great," O'Connell says. To avoid puns and raised eyebrows, O’Connell just tells people he lives in Waverly. “I don’t actually say Pee Pee Township because, you know, that would send them off into like, you know, into Never Neverland,’ O’Connell says. Got your own question about Central Ohio? Ask us below for Curious Cbus. 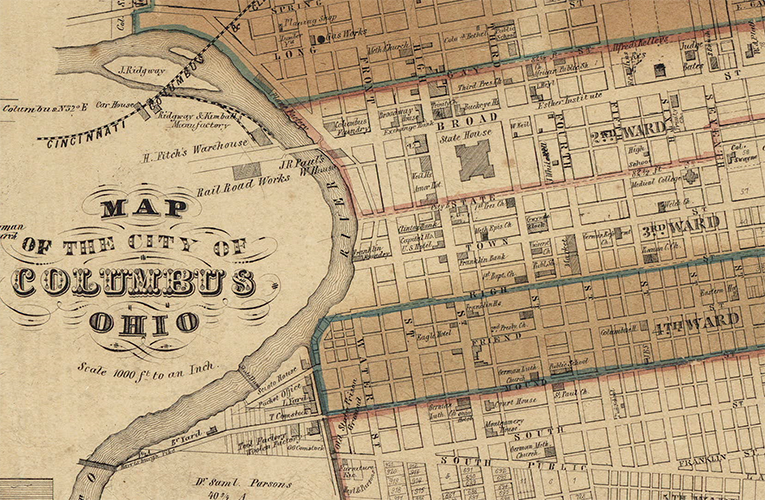 Curious Cbus: How Did Refugee Road Get Its Name? Refugee Road is a pretty typical busy city street, with heavy traffic driving past chain restaurants, houses and schools. This story is part of the Curious Cbus project. You ask the questions, you vote for one of the questions and we answer. To ask your question, visit wosu.org/curious. Many of Columbus’ original street names are generic—Town Street, State Street, etc. But as it turns out, there’s a story behind the naming of Downtown’s historic Mound Street. 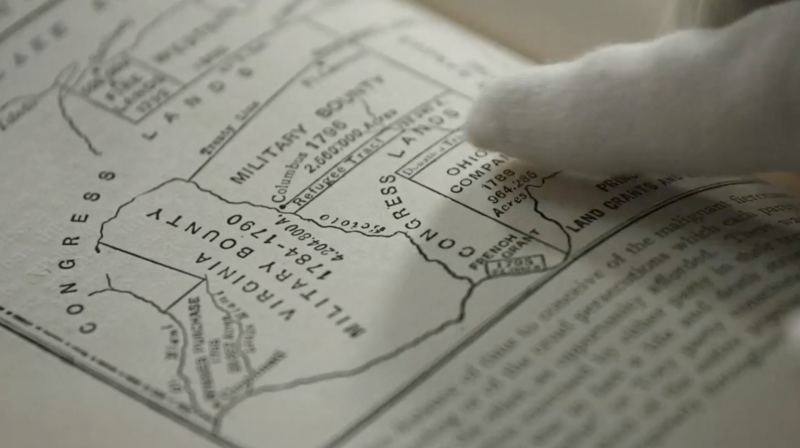 Curious Cbus: Where Is The Elusive "Ohio Valley"? 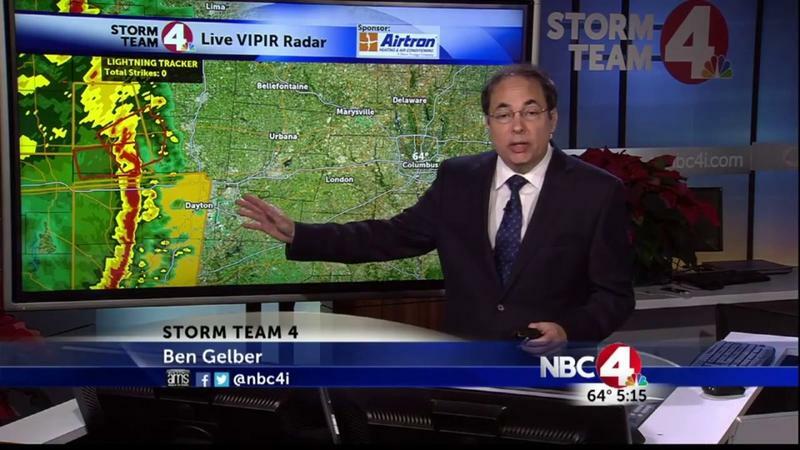 We went straight to the source: TV meteorologist Ben Gelber. After battling poverty as a child with her family, Tara Rase got out of Columbus. 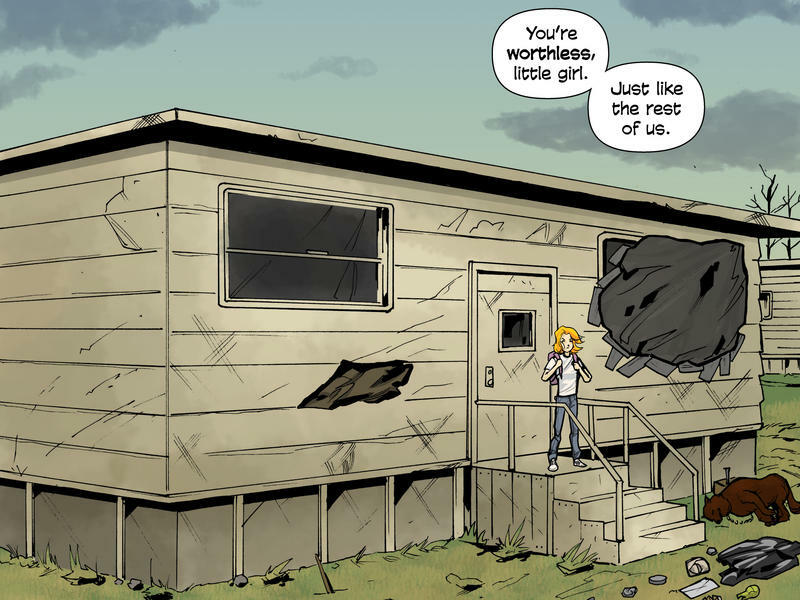 Now, in a series called "Refugee Road," she's revisiting that journey panel by panel.